Stoffel has a new nickname when he’s on the boat: Black Cat. Lucky for him. Yippee for Skippy… the peanut butter tagline and Stoffel are united. A series of cheeky, but not terribly useful remarks lead Saartjie to demand that there be silence from the pea(nut butter) gallery. AND if we’re going to call him peanut butter, it might as well be the most deliciousandcool p.b. 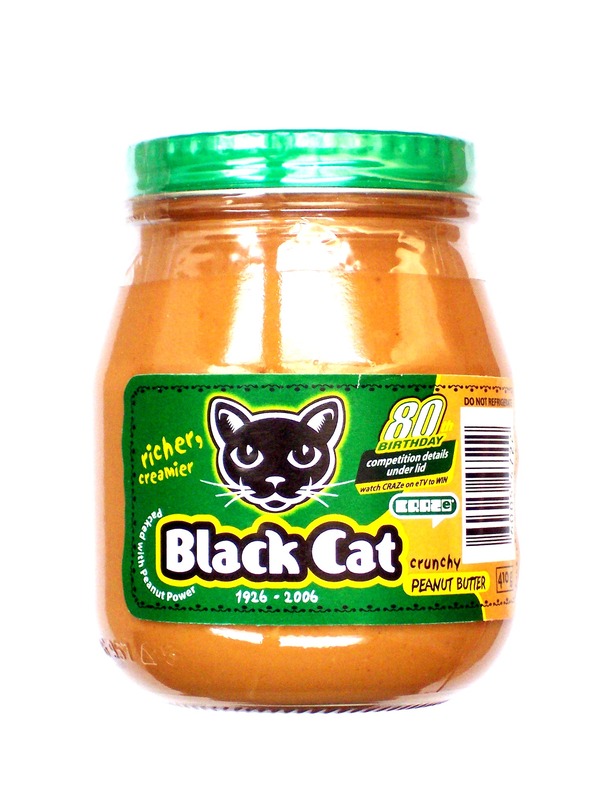 ever made: Black Cat peanut butter. * My apologies to my dear non-Saffa readers who may think I’ve lost the plot. I will return with a less cryptic post tomorrow. is a black cat lucky? I love how nicknames evolve. I call my sister “Snips.” We have no recollection how that came about.